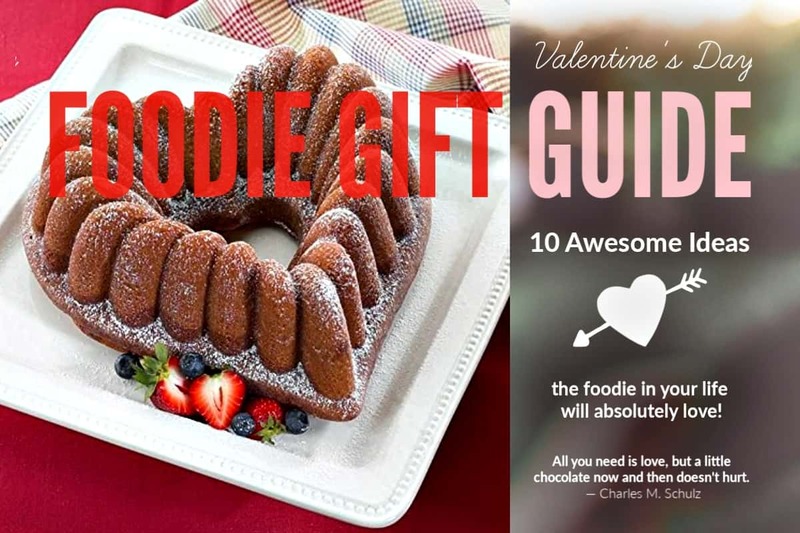 If you’re looking for fresh and unique gift ideas for your Valentine sweetheart or best girlfriend for Galentine’s Day, and they also happen to be a hopeless foodie, I’ve got you covered! 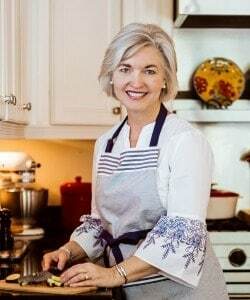 My Valentine’s Day Foodie Gift Guide includes ten awesome gifts that even this self-proclaimed foodie would be thrilled to receive from her honey (wink-wink)! Most of these foodie gifts are available on Amazon, and in full disclosure, I’ve provided affiliate links which means I make a small commission if you make a purchase (at no additional cost to you). Essential oils are the best of everything: all the purest scents without any of the synthetic, chemical elements. For those who love to cook and entertain, air purifiers ensure that smells leftover from cooking are easily removed and replaced with refreshing essential oils. The Pure Company’s Portable Air Purifier ($99) and Large Room Air Purifier ($399) are great options and are sure to make your home smell great for guests. 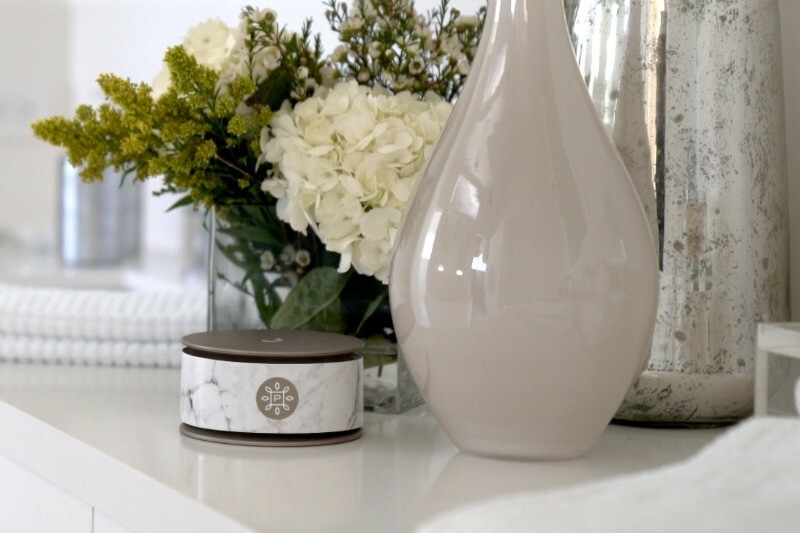 I actually own the portable version and especially love the sleek design and the soothing fragrance that their Clarity Custom Blend (lemongrass, rosemary, spearmint + grapefruit) adds to our home. 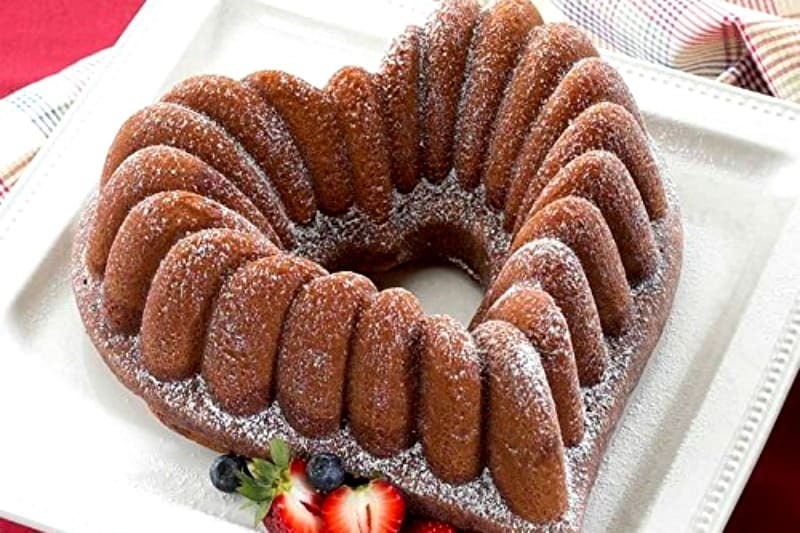 This decorative heart cake pan makes even a box cake mix something extra special! This pan is made with cast aluminum construction for even browning and has a nonstick coating for easy release and quick cleanup. Julie from The Little Kitchen featured this luscious Pink Velvet Bundt Cake last Valentine’s Day using this heart pan — yum! How fun would it be to make heart-shaped waffles?! This waffle maker that allows you to choose between deep bake mode for a more uniform texture or fast bake for a crisper exterior and softer interior, has an audio beep and light when it’s ready for batter and when the waffle is finished. 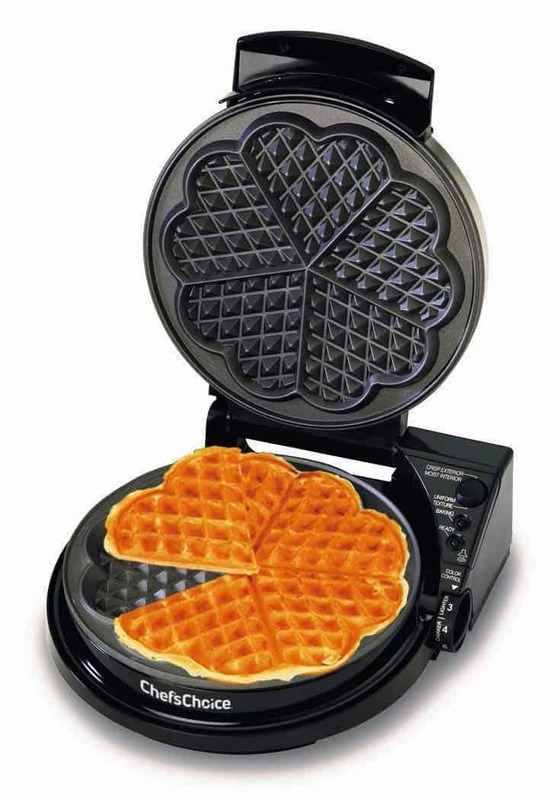 Imagine making delicious breakfast waffles or chocolatey dessert waffles for parties with this waffle iron! You can NEVER go wrong with chocolate. 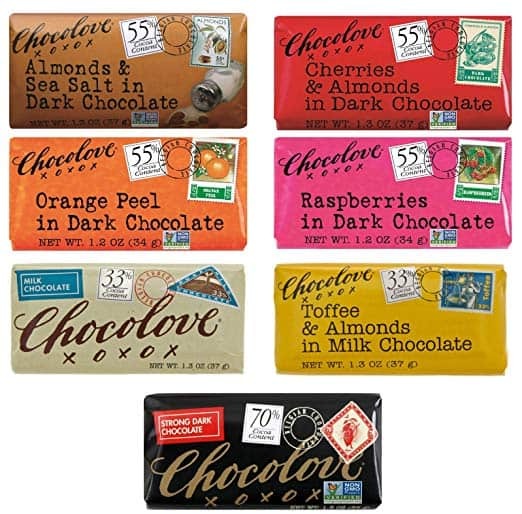 I love the packaging on this custom Chocolove (I love the clever product name, too!) 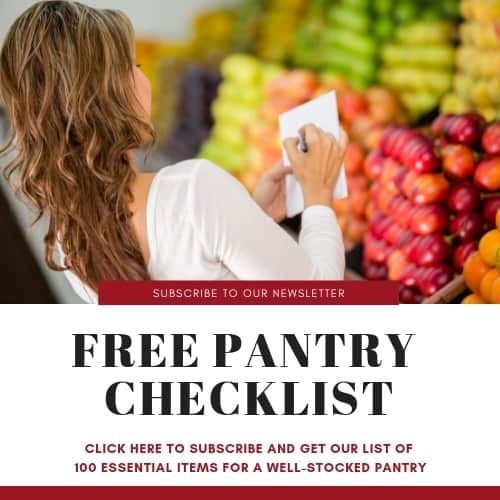 variety pack that includes: Milk Chocolate, Milk Chocolate – Toffee and Almonds, Dark Chocolate – Cherries and Almonds, Dark Chocolate – Orange Peel, Raspberry Dark Chocolate, and Dark Chocolate – Strong, Almonds & Sea Salt In Dark Chocolate. Those who know me know that I can be bribed with chocolate! If you haven’t tried flavored balsamic vinegars, you are missing out! This chocolate balsamic reduction combines the tanginess of balsamic vinegar with the richness of chocolate to add an indulgent twist to your meal. Balsamic Reductions naturally enhance the flavor of any dish. I would suggest using chocolate balsamic vinegar —with its tart, yet sweet flavor — drizzled on salads, fruit, or served as a condiment for a cheese board. Again, if you haven’t tried flavor infused olive oils, you’re missing out! And, BACON?! Just think how great this would taste on burgers or steaks with a little salt and pepper! This olive oil could also stand alone as a salad dressing, be drizzled over roasted veggies, a toasted bagel, and even be used to pop popcorn — my weakness! Here’s a fun new way to shake up your cooking routine. 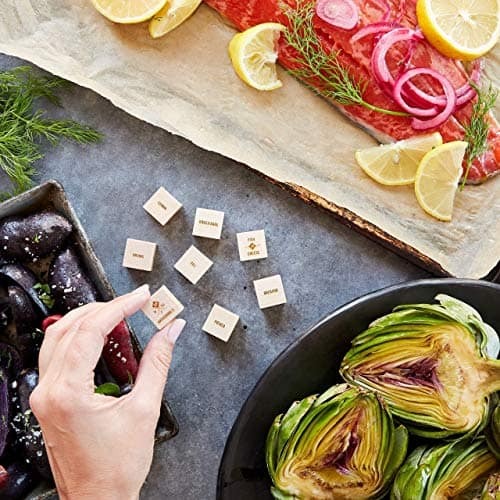 Foodie Dice provides inspiration for creating simple, seasonal meals. Simply select the five primary dice, add a seasonal veggie die and roll. Then shop, cook, and eat! Over 186,000 possible meal combinations to inspire creativity in the kitchen. This kit includes 5 primary dice (protein, cooking method, grain/carb, herb, bonus ingredient) and four seasonal veggie dice. The protein die includes both meat and vegetarian options on each side, so you can choose which to use. 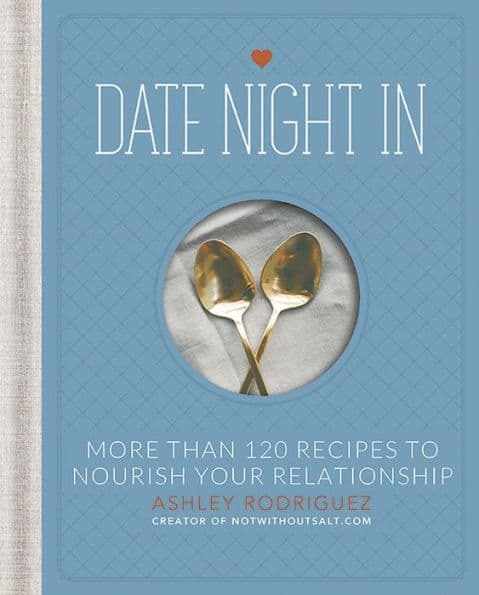 This sounds perfect for a date night! The perfect honey gift set for your honey — pun intended! 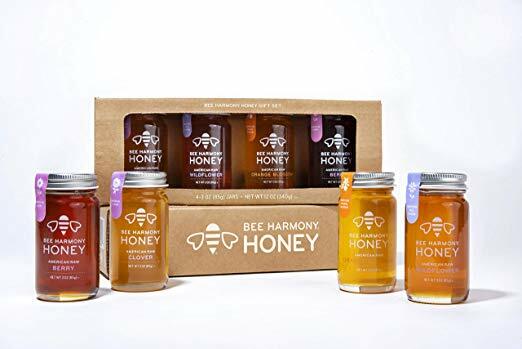 Again, I’m a sucker for cute and clever packaging and love the design of Bee Harmony, but I also love the delicious, pure taste of this premium raw honey. My Hot Honey Chicken and Waffles recipe from a few years ago featured this product. This gift set includes four 3 oz. Bee Harmony Honey mini jars: American clover, wildflower, orange blossom and berry. Need I say more? 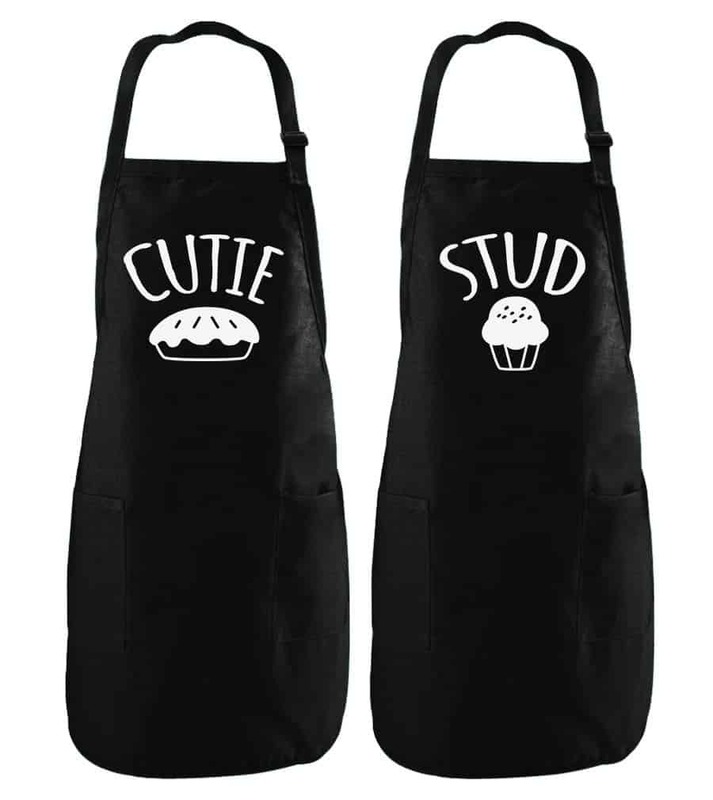 Couples who cook together with a sense of humor would love these aprons!